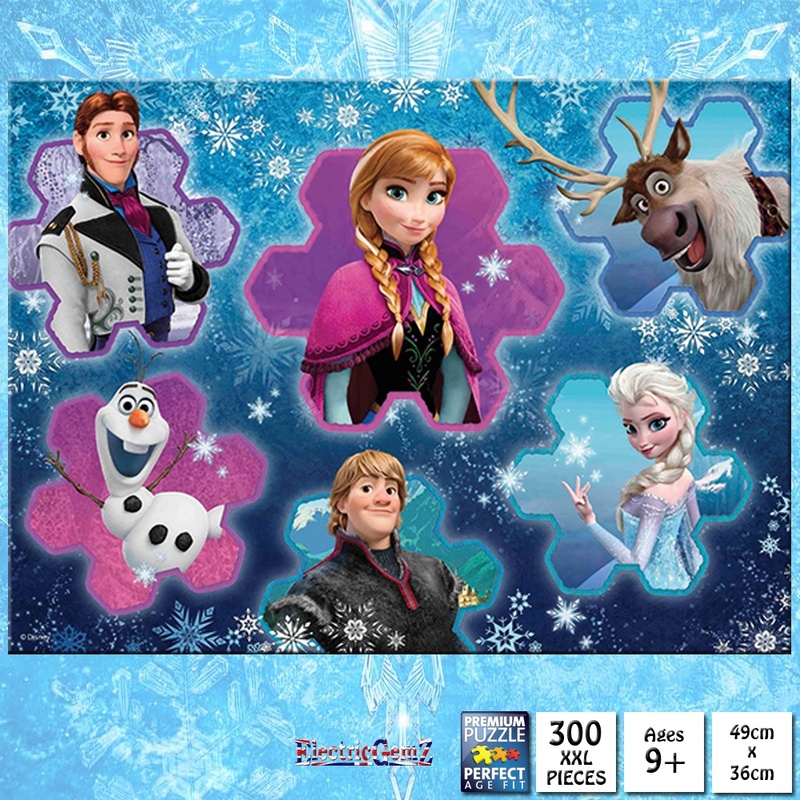 This beautiful jigsaw has all of the main characters from Disney's hit movie, Frozen - especially for adults and older children! 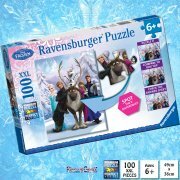 Suitable for ages 9+, this high quality 300 extra-large (XXL) piece jigsaw puzzle from Ravensburger measures 49cm x 36cm when completed and comes in a quality box that should last a lifetime. This beautiful jigsaw has all of the main characters from Disney's hit movie, Frozen - especially for adults and older children! 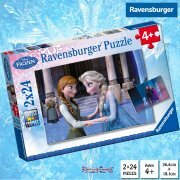 Suitable for ages 9+, this high quality 300 extra-large (XXL) piece jigsaw puzzle from Ravensburger measures 49cm x 36cm when completed and comes in a quality box that should last a lifetime. 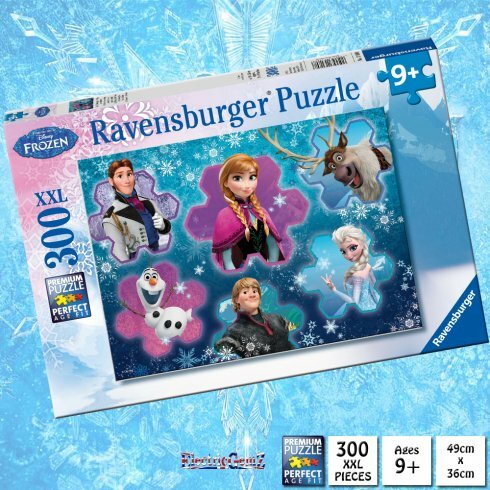 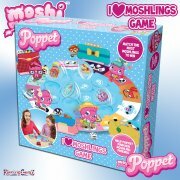 A full range of jigsaw puzzles, plus more Frozen goodies, is available from ElectricGemZ. 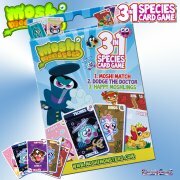 Search for Jigsaw or Frozen in the box above.